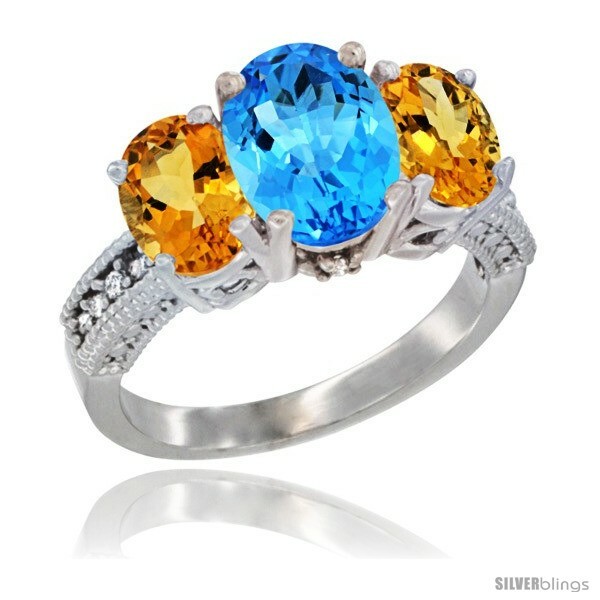 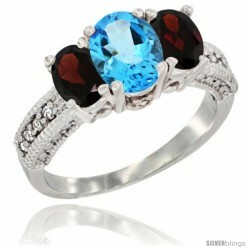 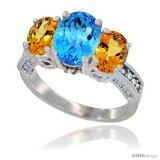 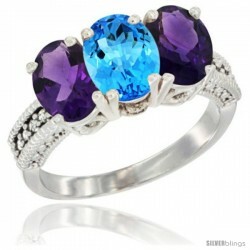 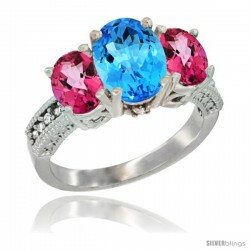 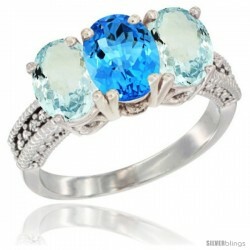 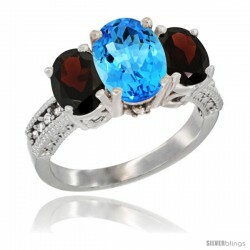 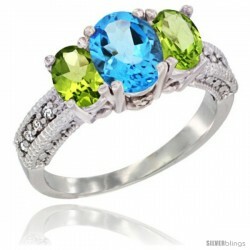 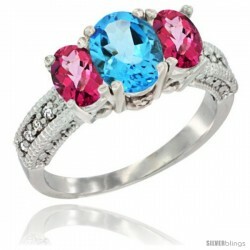 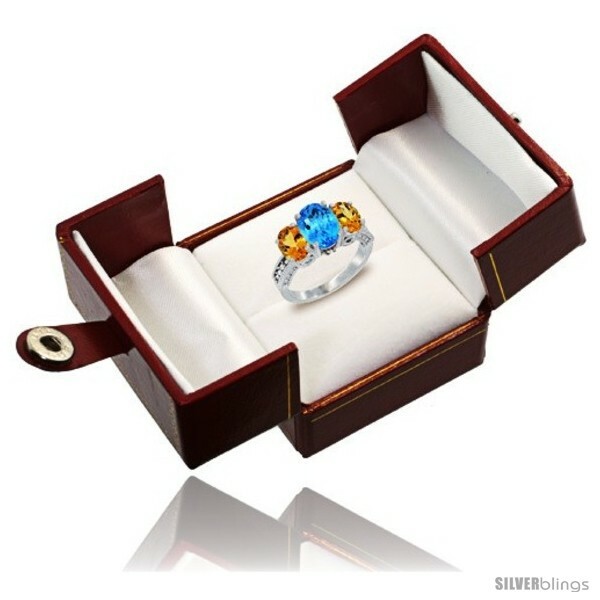 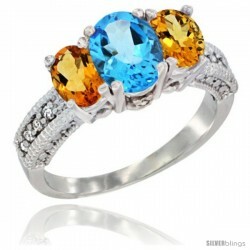 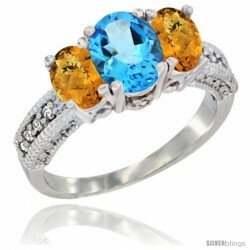 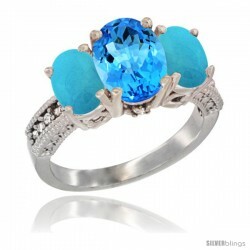 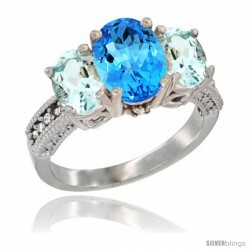 This vivacious 3-Stone Swiss Blue Topaz Ring made with 10k White Gold is eye-catching. This Ring is made of solid 10K Gold set with Natural Gemstones and accented with Genuine Brilliant Cut Diamonds. Available in sizes 5 to 10 with half sizes.